Mostly ironwork, metal fencing, railings and gates are a more traditional, but not necessarily expensive option to wooden gates and fencing. It is well worth exploring the links and other sites for inspiration. A professional installer will be able to provide quotes for supply and works using their trade contracts with suppliers. DIY work is one thing but major metalwork is often specialist work. An ironmongery firm can supply made to order and measure fencing, but it is obviously going to be expensive. A good alternative are these Spear Top Metal Railings with fixings, that are just below £85 per run. 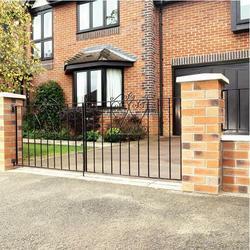 Similar, basic Railing Fencing is available for less than £50 for a 914 x 1830mm run, as with this Kensington Railing. 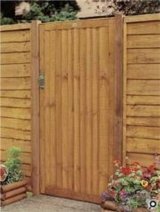 Wooden Gates are are also available in a variety of designs and styles, a basic Close Board gate can cost less than £50. 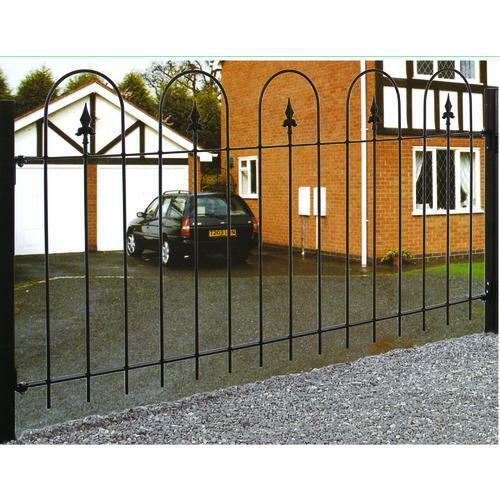 Gates are similar to other ironmongery issues, but you will be able to purchase a basic and nice looking set of Chelsea Driveway gates that run 900 x 2438mm in length for less than £75.